Academy Award-winning actress Whoopi Goldberg stars as a sassy lounge singer forced to hide from the mob in the last place anyone would ever look for her – a convent. In the side-splitting sequel, Whoopi is back for another hilarious adventure as Sister Mary Clarence spreads the gift of music and the power of laughter at an inner-city school. 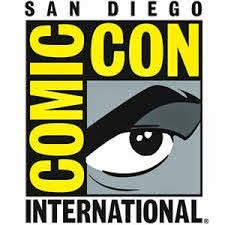 The casts include Dame Maggie Smith, James Coburn, Kathy Najimy, Michael Jeter, Harvey Keitel, Lauryn Hill, and more. Whoopi Goldberg has had a couple of movies that have showcased her talents like Ghost and Sister Act and many that haven’t. I think Sister Act ended up being the best vehicle to show her range as it allows her sassy comedy to run wild in an environment that gives it even more opportunities for more humor. 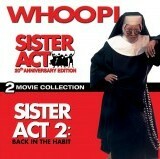 Sister Act also allowed Whoopi to show off her singing skills and combined with a great supporting cast that included the arch Maggie Smith, a great soundtrack that mixes old Motown hits with gospel songs, and you have all of the ingredients needed for the massive hit it ended up becoming which also spawned an inferior sequel. The movie starts with a flashback to the childhood of Doloris Wilson when she attended catholic school and was punished for trying to make the class laugh and disobeying the rules. The flashback informs Deloris’ feelings about the church years later now that she is a lounge singer known as Deloris Van Cartier (Whoopi Goldberg) who sings in a mob nightclub in Reno, Nevada. The club is run by mobster Vince LaRocca (Harvey Keitel), a married man that she’s sleeping with but can’t get him to leave his wife. When Deloris accidentally sees Vince executing his chauffeur, she bolts before she is killed too. Vince sends his henchmen Joey (Robert Miranda) and Willy (Richard Portnow) to catch her and kill her if need be. Deloris manages to escape them and makes it to the local police station where Lt. Eddie Souther (Bill Nunn) asks her to testify against Vince and his men. Souther decides to put Deloris into witness protection until the trial and takes her to St. Katherine’s Roman Catholic Church because he believes that will be the last place that Deloris would go to. That idea isn't welcomed by Deloris or the Reverend Mother (Maggie Smith), but Monsignor O’Hara (Joseph Maher) forces the Reverend Mother to accept her because he only sees the upside to it all since the police department offered to donate some desperately needed money to the church and because he feels that Deloris could benefit from a change of environment as well. Deloris becomes a nun known as Sister Mary Clarence and she immediately clashes continuously with the Reverend Mother over all of the many rules placed on her. When not in trouble, Deloris grudgingly makes friends with some of the nuns there, including the chipper Sister Mary Patrick (Kathy Najimy) and the shy Sister Mary Robert (Wendy Makenna). When Deloris is caught going to a bar near the church, she is punished by being put in charge of the awful sounding choir. While Deloris is terrible at bead-work, chores, and just about everything else, she is a good singer and arranger, and the punishment by the Reverend Mother proves to be an inspired one. Under Deloris’ direction, the choir gets organized and starts practicing daily which makes them a lot better singers. It also helps that Deloris jazzes up the gospel music by fusing it with a Motown feel. This new showmanship ends up attracting the degenerates outside in the blighted neighborhood that the church resides in. While the Reverend Mother is furious with the changes, the Monsignor is delighted to see the church full of people curious to watch the choir perform. In fact, the music has already started to transform the nuns and the neighborhood itself as Deloris suggests that they leave the church to clean up the surrounding area. The resulting chain reaction of all of these elements results in the Pope himself wanting to visit the church to hear their music and see all of their good work. The bad part is that all of the press attention the church receives puts Deloris in jeopardy when she is seen on the news. Fairly soon, Vince and his men will track down Deloris and the only thing that can save her are the nuns who prove that friendship is a powerful force to be reckoned with. The less said about the sequel the better, as it’s just a rehash of the first movie but instead of teaching nuns how to sing, it’s inner-city youths. Sister Act 2 is a tired combination of several movies that have done it better. The nuns bring Deloris back to train students that they are terrified of because the kids are loud and move their desks around. It’s almost laughable that this group of kids has so alarmed the nuns when they are basically harmless. The kids are the stereotypical punks that you’d imagine for this kind of formulaic movie and you can predict every part of the movie within the first ten minutes of watching. The movie even ends with a singing championship where they are the underdogs and their best singer Rita (Lauryn Hill) may or may not make it. Want to take a guess how the movie ends? The only good thing I can say about the second one is that they got some good people to star in it like James Coburn, Michael Jeter, Barnard Hughes, and even a very young Jennfier Love Hewitt. The first movie is an enjoyable musical comedy that handles both the comedy and the musical parts well. Seeing Whoopi stuck in a church is an inspired choice of venues even if the movie is basically an updated remake of The Sound of Music. Both star a young musically gifted woman trying to escape the life they were leading, only to enter an even more structured environment where they end up teaching others how to sing and to share the joy they have when singing. While Maria had to evade the Nazis, Deloris has to escape Vince and her mobsters and both are saved by nuns. While I prefer The Sound of Music over this movie, both are fun to watch and offer some great music and laughs. Sister Act 2 was a fairly depressing movie to watch because it just reminded me of all of these great actors that we've lost since then. The movie’s formulaic plot doesn't help and the focus on the kids instead of the nuns was a bad choice. While some of those kids went on to bigger and better things, none of them are particularly good actors at this point. The music isn't as good the second time around but then again that’s all subjective since I prefer the Motown sound over the kids’ homemade hip hop rapping. Audiences must have agreed with me since this movie barely did any business at all and it ended the series. When I found out that both movies were put onto a single BD-50 disc, I assumed that they would look terrible and compressed, but I ‘m happy to report that that’s not the case at all. In fact, Sister Act looks pretty darn good for a twenty year old film. Colors look vibrant and well delineated, with all of the splashes of color on full display. Black levels are also very impressive with all of the nuns robes looking suitably dark and solid. Detail is also very satisfying with well-defined textures, a crisp and clean picture, and nice details from the actors’ faces revealed. Sister Act 2 doesn't look as good as the first movie, but it also looks pretty good although a bit softer than its predecessor. Detail is decent but not spectacular, and the colors are more muted here although that might have been a creative decision. There’s also more grain present in the sequel but not enough to become distracting. Considering that both movie share space on one disc, they both look far better than they have a right to. The DTS-HD Master Audio 5.1 mixes for both films doesn't measure up to their visual counterparts, as both feature lackluster mixes that should have been remastered with some love and care. Despite being 5.1 mixes, both films are basically front channel affairs with only a few instances that involve the music where the rest of the channels come to life. Dialogue is clear for the most part but there are some points that sound muffled. The music sequences fare much better than the rest of the movie, and they utilize all of the channels before dropping back to the center channels when they’re done. Both films should have sounded better than this but they do the job adequately. Much like the Anniversary Edition of Disney’s The Rocketeer, this Anniversary Edition doesn't offer much in the way of extras which is really annoying. If you are going to market this set as a “20th Anniversary Collection”, you better add some extras to it or leave that part out. For this set we only get two extras focused solely on the first film which is pretty bad. Inside Sister Act – A forgettable thirteen minute look at the first movie with comments from the cast and crew. Sister Act is a fun movie to watch with some great music included. The sequel isn’t as funny and the music isn’t as good either so I can see why they've bundled it along with the first movie. The Blu-ray offers some pretty good video quality along with some average sound quality and some extras that are pretty weak. If you already have these movie on DVD, the only reason to upgrade is for the improved video quality. If you don’t own these movies, then this collection is the best way to go since you get both movies for a pretty low price.